Lots of people in our country have a bad habit of writing anything on the currency note, folding currency note, also somebody staple it which spoils the Note and reduces notes durability. So to avoid such occurrences RBI introduced the Clean Note Policy in 2001 in an order to increase the life of currency notes. The main objective of this Clean Note Policy is to provide good quality currency notes and coins to the citizens of our country. Also, the objective of this policy is to avoid the circulation of spoiled notes in the economy. According to this policy packets of notes are not stapled with a pin while the banding of such packets should be done by paper or polyethene bands so as to increase the life of the currency notes.The note packets can also be bound by rubber bands in order to minimise the damage of currency notes. Banks should sort the notes in two parts like re-issuable and non-issuable. RBI instructed all the banks to circulate good quality notes to the public and do not circulate spoiled notes in the counters of the bank which they have received from people. Banks are instructed to provide clean currency in exchange of spoiled notes. RBI also provided the guideline for citizens of a country which says that avoid spoiling notes by oil, water etc. Do not write anything on the currency notes. 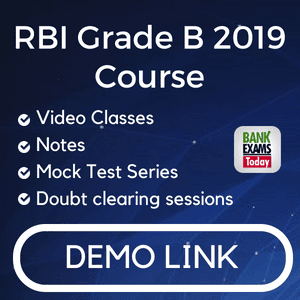 According to RBI, the clear objective of providing good clean quality notes to the public by the banks is provided under the section 35A of banking regulations act 1949 and if the bank does not follow this then that bank may be punishable and the license of such bank can be cancelled. To stop such spoiled currency RBI developed Currency Verification and Processing System (CVPS) to speed up this process.This system is installed in the various offices of RBI. In this System have a watermark feature in which if something is written on watermark then this machine automatically rejects such note. This CVPS machine is capable of processing about 50,000 to 60,000 pieces of spoiled notes per hour. 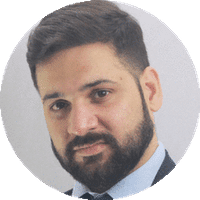 This machine sorts the notes which are in good or bad condition.The bad condition notes are shredded online and the notes which are in good condition are banded into packets for reissue. RBI installed 42 such machines in the Currency issue offices. 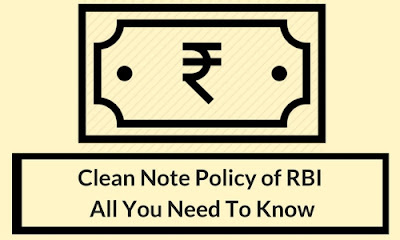 Now it has been almost 16 years since this Clean Note Policy was issued by the RBI but still, the objective of this policy is not realised but there are some improvements in the banks which are not stapling notes, providing quality notes, exchanging spoiled notes. Clean Note Policy has been implemented almost with all aspects only some people due to lack of awareness are ruining this policy.